Massbach Hounds (MH) was founded in 1975 and has been hunting ever since in country around Stockton and Elizabeth, Illinois. Fox River Valley Hounds (FRVH) was founded in 1940 and until 2000 met around Barrington Hills, Huntley, Kirkland and Richmond, Illinois. In 1997 FRVH added country in and around Morgan, Georgia. In 2000 MH and FRVH combined their packs and staff and entered into an operating cost sharing agreement with each club responsible for 50% of the operating expenses of the combined clubs. Each club remains responsible for its own membership, capital expenses and real estate. The fixture for MH runs from August to mid December in Illinois. The fixture for FRVH runs from January to mid April in Georgia. 1. The Fox River Valley Hounds’ members exercise hounds while riding horses on Horizon Farms. These horse and hound exercises simulate a hunting tradition that began in Barrington Hills in 1940 and function as historic reenactments or pageants. They are not live hunts. They are conducted eight to ten times per year after the bird nesting season is complete from late August through early December, run about two hours and consist of horses and riders following mounted staff and hounds around the farm’s 420 acres. The farm was purchased and developed by the William McGinley family with the intention of supporting equestrian sports including horse and hound sports, horse shows, polo and other equestrian activities as outlined and protected in the Horizon Farms Conservation Easement. 2. The Fox River Valley Hounds are dedicated to the expansion and enhancement of habitat and wildlife by partnering with Forest Preserves of Cook County to continue conservation efforts FRVH members have been involved with since 1983. The focus of FRVH stewardship efforts will be to support prairie restoration, wetland and woodland management at the direction of the Forest Preserve for the benefit of the citizens of Cook County. “When Tony Leahy rides by in the hunting field, we watch in awe. Only in our dreams do we ride like that,” says Norman Fine, editor of Foxhunting Life magazine. Tony grew up in Ireland, hunting and show jumping. The jumper shows took him through Europe and finally to the United States. Since virtually all Irish horsemen have their riding roots in the hunting field, it wasn’t long before Tony connected with the foxhunting community here. When he wasn’t show jumping, he was whipping-in—first at the Rolling Rock Hunt in Pennsylvania and later at the Deep Run Hunt in Virginia—and racing over fences. In 1990 Tony became huntsman of the Fox River Valley hounds in Illinois, and was named MFH six years later. In 2002 he also became MFH and huntsman of the Cornwall Hounds in Illinois. Two packs of hounds weren’t quite enough to keep him busy, so by 2003 he also took on the mastership of the Spring Creek Bassets, a foot pack. Tony’s horsemanship, knowledge of hounds, and quiet leadership abilities were noticed at the highest levels of American sport, and soon he was contributing in a substantial way to the Masters of Foxhound Association, the umbrella organization for organized foxhunting in North America. He served the MFHA both in the field and in the boardroom. During the MFHA’s Centennial year, having been selected as guest huntsman for all but two of the Centennial Foxhound Performance Trials, Tony hunted packs of hounds across the length and breadth of North America. He served the MFHA as Director of the Midwest District from 2002 to 2008, after which he was appointed treasurer of the Association’s Educational Foundation. He is frequently sought out to judge hound shows throughout the U.S. and Canada. Being an exceptional breeder of hounds, his combined pack has won the grand championship at all major hound shows in North America. His pack would be considered “one of the best” both in hunting and confirmation. While director of the MFHA, Tony was asked to develop a structured program and curriculum for the development of young aspiring huntsman. The program he developed has been a major success, and he has continued as Director of the MFHA’s Professional Development Program. He was elected second vice president to the MFHA in 2012. He will become president of the organization in January of 2017. Always ready to contribute where needed, Tony also served on the board of the Equestrian Land Conservation Resource based in Lexington, Kentucky. He is currently an active board member of IUHH, the International Union of Hunting Hounds based in Europe. Ashley was born and raised in Leicestershire, England. Hunting was always a large part of his life with both his grandfather and stepfather serving as huntsman. Ashley started hunting as a young child, and even helping out at local kennels in the evenings and on weekends. At the age of 15 he hunted his first pack of hounds. Ashley's professional career began with the Glyn Celyn Beagles at the age of 18. The hunting ban in England and Wales forced Ashley to move to Canada in 2005. 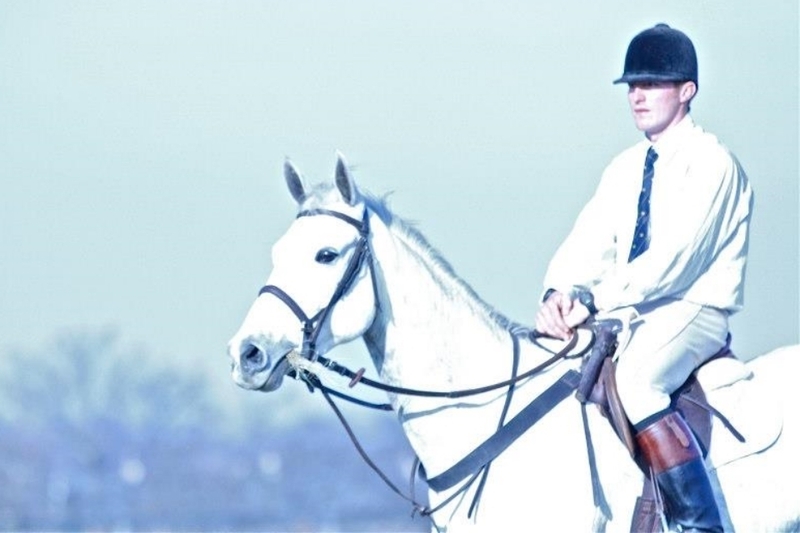 He whipped in to Toronto and North York Hunt for two seasons, then served as huntsman for the Hamilton Hunt for another two seasons, before moving to the United States to join Fox River Valley and Massbach Hounds in 2009. Ashley married Emily in 2012 and they have two lovely children. Our pack consists of 2 1/2 American couples, 7 English couples, 25 Crossbred couples who went out 111 times last season. We hunt red fox, grey fox, coyote, bobcat and boar in two "countries", Massbach "country" is rolling woodlands with 50% open land. The "country" in southwest Georgia is hunted early January through March. It is 70% open crop land with strong coverts throughout. Barrington "country" is 70% woodland and is used for hound exercises. Mixed throughout are panels over wire, post-and-rail, coops and natural waterways.